When you changed tack in terms of development, what kind of concrete changes did it lead to? talks to you directly . He congratulates you when you get the right answer, and when it looks like you’re ready to give in, he encourages you. As we approached the midway point of the development process, we started to add more and more effects like that. 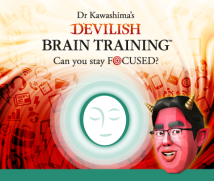 When Dr. Kawashima began appearing, I was fully absorbed in testing the game, but I found I couldn’t do the calculations! Ah, so you couldn’t concentrate on doing the calculations. It really got in the way of things. It was a bit like having a personal tutor who isn’t that good at his job. We really struggled over how to frame Dr. Kawashima’s character in the game. We had decided to give him a voice even when he still had a volcano on his head. Then we started thinking about what he should sound like and how he should look. At first, he was really scary, like a truly demonic teacher or P.E. instructor. We had Ito-san come up with his lines. Ito-san, you wrote Dr. Kawashima’s lines? “Somewhat Strict” got the most votes, so we proceeded with development along those lines, but later on, when we had some other people test it, they hated it. They said he was too strict, and it felt like he was looking down on them. They didn’t like the feeling of him scolding them. Sorry to interrupt, but I should inform our readers that we’re not talking about the real Dr. Kawashima’s personality, so please don’t get the wrong idea about him! Right! 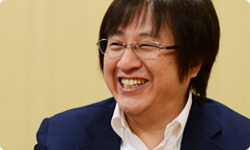 (laughs) Dr. Kawashima has been great about allowing us to create a new personality for him in the game. He’s a very generous person who’s been incredibly helpful ever since the first Brain Training title. So even when he was only being “somewhat strict”, it felt as if Dr. Kawashima was getting angry at you? Yes. We tried taking the edge off his lines a bit, and then we got more answers to the effect that he was quite likable. But there were still some people who said they couldn’t stand him. I wonder what was so bad about him? I thought about what could be bothering them and concluded that some people must be very sensitive to that feeling of being looked down on. For a character in a video game to address them in such a familiar fashion must have felt rather disconcerting. Can you give me an example of the kind of line that disconcerted people? Well, depending on how it’s said, even a compliment like “That’s amazing!” can sound rather like the speaker is making fun of you. So the same phrase can sound sarcastic depending on how it’s said. If you’re reading it, you may well just skip over it, but when it’s voiced, you can’t help but hear it, so even a slight difference in phrasing can rub you the wrong way. And at first, instead of using a voice actor, we were using a staff member’s voice. I recommended that we brought a professional voice actor in as soon as possible in order to achieve the right vocal phrasing. We made provisional recordings with a voice actor right away and began debugging, but some of the debugging staff said they didn’t really like it. 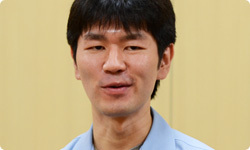 Ito-san was revising the text right up until the final recording. Yes. When we did the actual recording with the voice actor, I listened to each line, saying “That didn’t sit quite right…” and asked him to record it over and over. I think that really improved the voice work in the final product. When I played it, I thought it felt natural. he suddenly holds back . Oh, I see. Instead of talking the whole time, once you’re on a roll, he watches in silence. That’s right. And if you make a mistake, he’ll offer words of encouragement. But then, when you’re building up a head of steam, he will quieten down again. I think that by having Dr. Kawashima addressing you directly, the game’s toughness is made more palatable and the player is encouraged to keep trying.